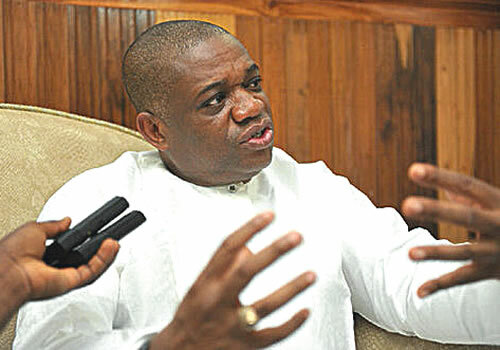 Business mogul, Chief Orji Uzor Kalu, has slammed the five governors in the South East over the activities of the Independent People of Biafra (IPOB). He noted that the proscription of the separatist body was belated. The former governor, while decrying hate speeches in the country, submitted that Igbo people were. He was unsparing of the IPOB leader, Nnamdi Kalu, whom he alluded, escalated the tension in the land through his supposed non-compliance with his bail terms. Kalu went on: “ The way out is to stop this agitation and seek what will benefit us all because we need stability and unity to move forward.”Admitting that the zone is marginalized, the erstwhile governor, however, lauded the military operation for instilling sanity. “We have well educated people in the military who know the law and internationally accepted rules of engagement.”Meanwhile, Governor Aminu Tambuwal has sued for calm among Sokoto residents, urging them to go about their businesses without fear. The call, which comes following heightened tension in parts of the country, was contained in a statement issued by his spokesman, Malam Imam Imam.He assured the residents that the happenings in the South East and other zones would not impact negatively on them.